Coupler 2 Mini-Din sockets. 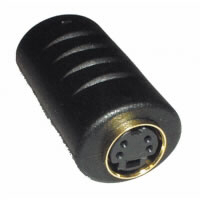 To join 2 x 4pin Mini-Din (S-Video) Plugs. 24K Gold plated contacts and screen.